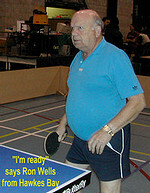 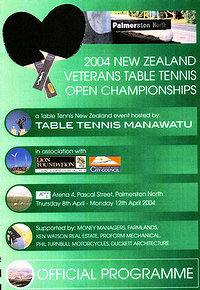 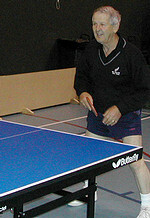 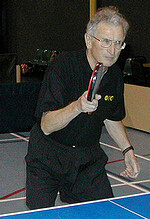 The Veterans Championships - Palmerston North. 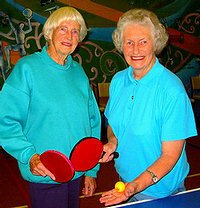 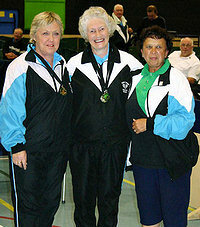 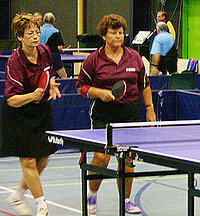 Winners Over 60 Women's Teams events - NZ Vets. 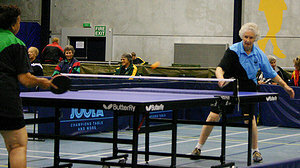 L/R: Back rowLynley Barker, Averil Roberts, Malcolm Darroch, Bill Otene, Alan Pedley. 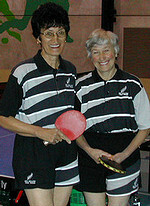 Middle rowNgaire Garrett, Val Beaver, Annice Robottom, Nellie Milich, Bruce Penberthy (manager). 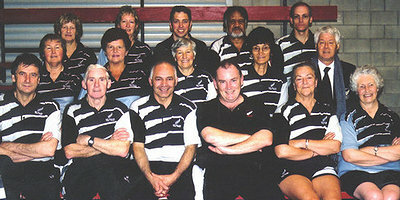 Front row Alan Alabaster, Chip Eade, Dave Samson, Kevin Fogarty, Pauline Bennyworth, Merle Sneddon. 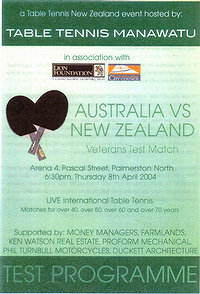 Australia was too good overall winning 25 matches to 15.